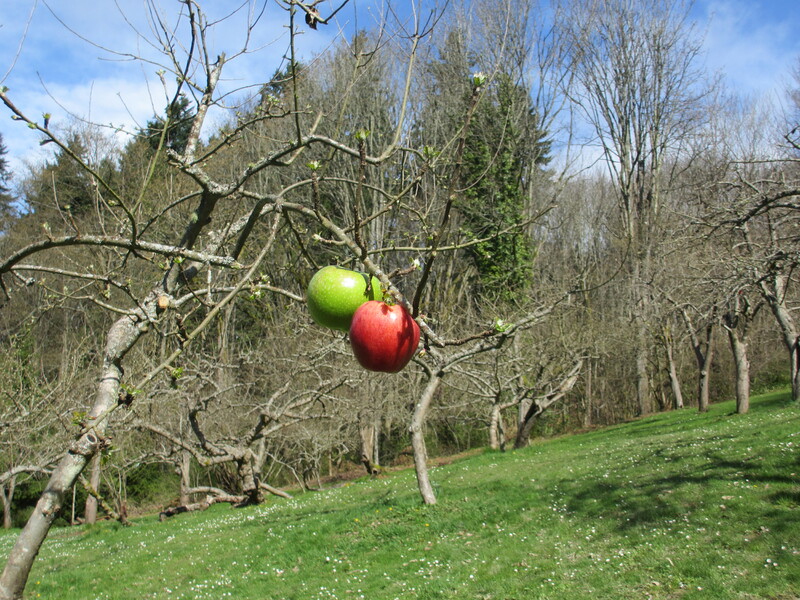 Check out the photos from the orchard last Sunday (4/1). Looks as though we’ve got some unusually early, healthy fruit! Art and fruit combine. 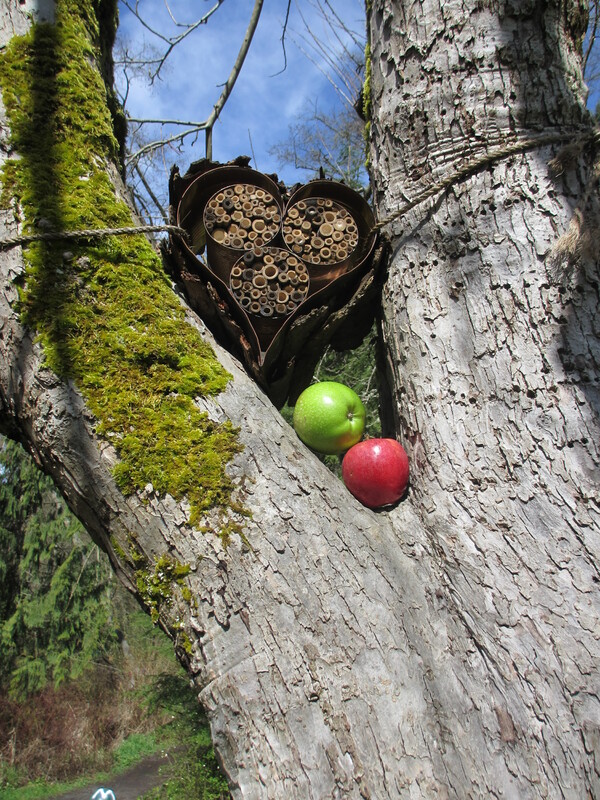 This bee house was installed in the orchard last summer as part of the Heaven and Earth exhibition at Carkeek Park. We hope it will attract bees again this summer to help pollinate the fruit trees. 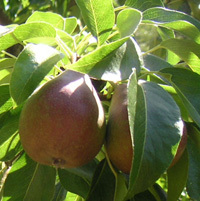 Proper thinning of early fruit can result in healthier, more robust ripe apples when ripe, though it’s pretty unusual to find fruit like this in early April. 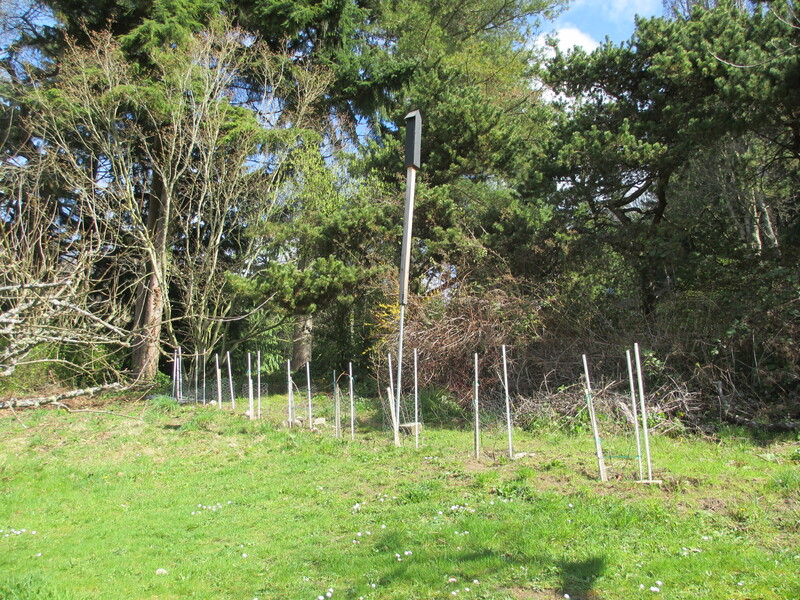 A mason bee house is already up in the orchard. 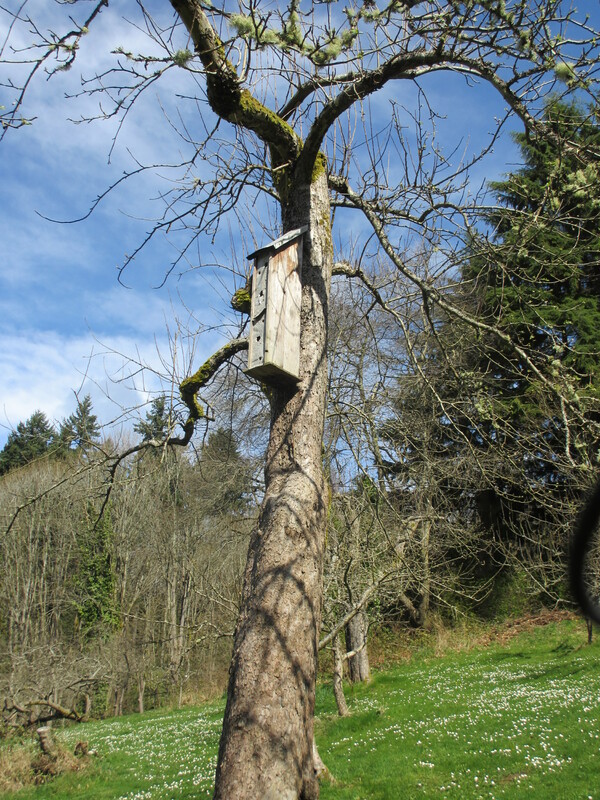 We hope the bat houses (this one near the grapes) will attract residents this year.